William Friedkin’s horror masterpiece gave us one of the key elements of horror films “Exorcism”. Before this film no filmmaker has efficiently taken the process and reasons for exorcism this far. Interestingly the inspiration for this film comes from a real life incident. In 1949, a boy from Cottage City, Maryland, who was referred to as “Roland Doe” (not his real name), underwent an exorcism performed by a group of Roman Catholic priests, accounts suggest. There are conflicting reports as to Roland’s alleged powers: Some stories claim that Roland had supernatural strength, could speak in ancient languages that the boy had no knowledge of and could apparently move or levitate the mattress he was lying on. Since 1949, investigators have called into question many of these claims, providing evidence to suggest that Roland was a psychologically troubled boy who hated to attend school and that his abilities were far from supernatural. In any event, the exorcism took place. 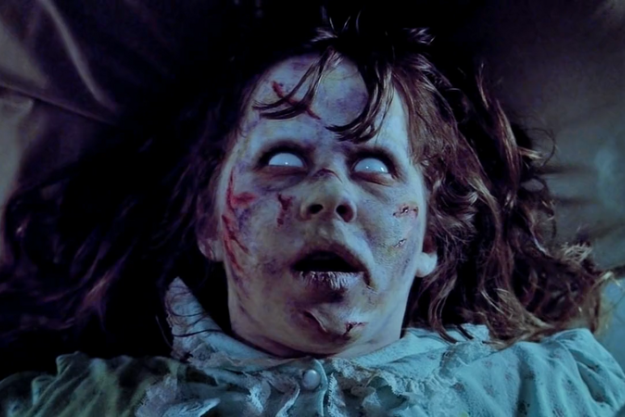 The events inspired the 1971 novel called “The Exorcist” by William Peter Blatty, which, in turn, inspired the famous 1973 movie. The Exorcist is the first horror film in the history of cinema to earn a nomination in the best picture category for the academy award. It was nominated for 10 academy awards and got two Oscars for best-adapted screenplay and best sound design. It is also one of the highest grossing films of all time raking around $440 million so far.